The father of information activist Aaron Swartz blames US prosecutors for his son’s death, RT’s Andrew Blake reports from an emotional Tuesday morning funeral outside of Chicago. 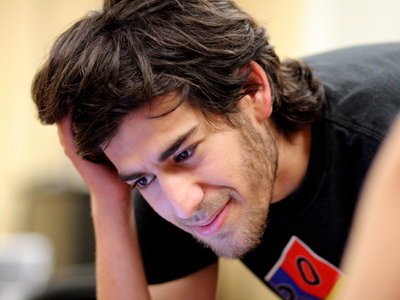 Aaron Swartz, 26, was found dead on Friday of a reported suicide. 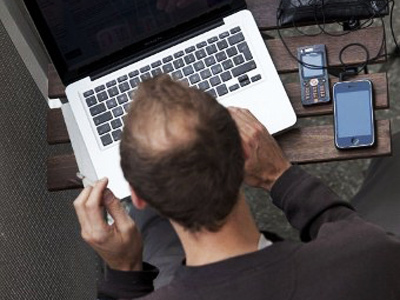 Swartz had been instrumental in designing software that aimed to make the Internet easy and open for everyone, and also co-founded both Reddit.com and Demand Progress — one of the most visited sites on the Web and an highly touted activism organization, respectively. But while friends, family and loved ones recalled Swartz’ compassion for technology and his utter selflessness during Tuesday’s service, those in attendance did not shy away from acknowledging the tremendous legal trouble that plagued the activist in recent years. In 2011, federal prosecutors charged Swartz with a series of counts under the Computer Fraud and Abuse Act, crimes that could have sent him away to prison for upwards of 35 years if convicted. Swartz, said the government, entered a building at the Massachusetts Institute of Technology and downloaded millions of academic and scholarly papers from the service JSTOR with presumably the intent of distributing them for free. During the funeral, which lasted little less than 90 minutes, phrases such as “Googled,” “Anonymous,” “hackers” and “the Computer Fraud and Abuse Act” were spoken so nonchalantly it was as if including them in the service was simply to be expected. Taren Stinebrickner-Kauffman, Swartz’s partner, said amidst laughter and tears that one of her fondest memories of Aaron as of late was an early-morning moment from only weeks earlier when he insisted she help him spend hours analyzing an advanced algebraic math equation he was determined to solve. 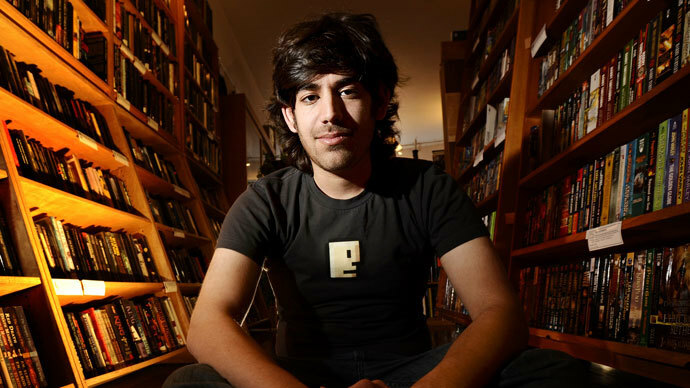 In her eulogy as well as those offered by others, the take-away by and large was that Swartz, to the ones closest to the computer genius, was adamant on social change. 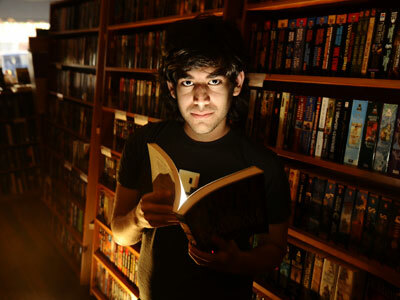 “Aaron meant more to our people than I think anyone else we know,” said Stinebrickner-Kauffman, who met Swartz through a tight-knit circle of activists from New England. “Aaron wanted so badly to change the world,” she said, more so than acquiring wealth or fame. Despite those intentions though, loved ones said the looming possibility of a felony conviction complicated matters for Swartz since his indictment in 2011. 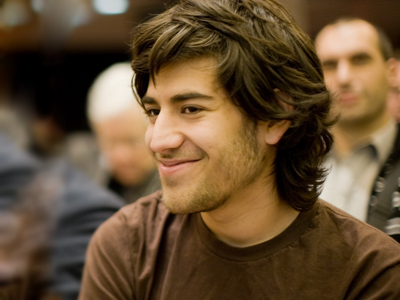 With Swartz’ passing, though, his partner said it was now up to his colleagues and peers to push forward with the advocacy that Aaron was so incredibly passionate about. “There’s nothing Aaron would want more than for us to take this moment and change the world,” she said, calling for the community Swartz was a part of to continue rallying for justice without him. If the community can combine forces and further his advocacy, she said, “prosecutors can stop going after innocent young people” like Aaron. Elsewhere during her eulogy, Stinebrickner-Kauffman spoke harshly of the Massachusetts attorney general that filed charges against Swartz, as well as the institution that some say could have stopped the federal government from following up with the hacking case but did not. That “false characterization” spearheaded by the Massachusetts Attorney General’s office, said Swartz’ dad, was likely the cause of his son’s death. Whereas the public applauds computer icons like Bill Gates and Steve Jobs as visionaries, Robert Swartz said his son was much more innocent in the eyes of the world at large, just not the federal government. Before his days with Apple, recalled Mr. Swartz, Jobs and his business partner Steve Wozniak “used to criminally defraud the phone company” by selling small “blue box” devices that allowed anyone in the country to conduct long-distance calls for free. Gates’ development of Microsoft’s BASIC, Swartz said, was “sketchy” at best. “How is that Aaron did something that legally wasn’t illegal — and he was destroyed by it,” he asked. Mr. Swartz also had harsh words for MIT, who, unlike JSTOR, was relentless in their pursuit of the alleged criminal hacker. Following Swartz’ passing, members of the hacktivist group Anonymous gained unauthorized access to MIT’s servers and posted a tribute that was cited during Tuesday’s service, which also included eulogies from some of the most respected figures of Internet culture. Tim Berners-Lee, a British scientist responsible for developing the World Wide Web, called Aaron Swartz “an elder” of the computer and information community during the funeral. When Berners-Lee first met Swartz, the young prodigy was all of 14 years old. “Up until the end, he was fighting for right,” he said. Lawrence Lessig, an academic and political activist who knew Aaron Swartz for over a decade, called the government’s attempt to prosecute his friend pointless and an example of “idiocy” during the service. Elliot Peters, Swartz’ attorney in the JSTOR case, said his client’s peers are now without someone whose “passion for freedom and fairness” and a “mistrust for power” was unmatched. Peters echoed that same mistrust in his eulogy, which condemned the federal prosecutors that he suggested were at least partially responsible in his client’s death. “They didn’t care who Aaron really was, or what he was doing,” Peters said. Meanwhile, he considered Swartz a “young, diminutive and oh so brilliant client” and compared his advocacy against the government to that of the American patriots during the US revolution. “Selfless” was an adjective used countless times during the funeral by several persons who cited Swartz’ insistence on putting others first as perhaps his most powerful trait. “Your grief should not be equal to his work, because then your sorrow will never end,” Peters said at one point to quote Shakespeare’s Macbeth. “As much as we despair, and we all do, we must know that we do all change the world. 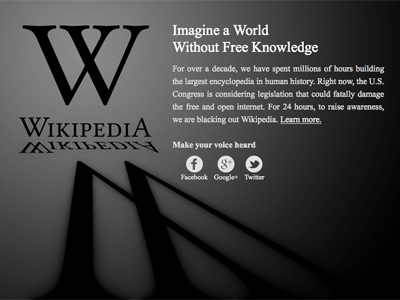 And we must never stop,” Mr. Swartz said before the ceremony concluded. 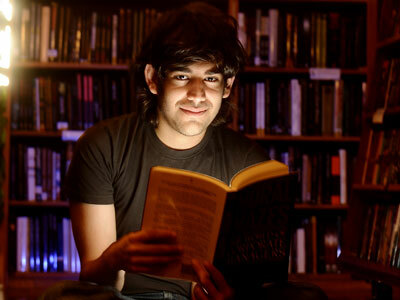 Memorial services for Swartz across the country are currently being planned. Hundreds are expected to gather in New York City later this week for a tribute planned in Times Square.